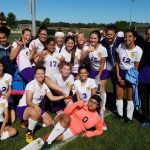 The Girls soccer dropped a 9 to 0 decision to Mishawaka Wednesday Night. The team played hard and Mishawaka fans stayed after to congratulate the team and coach for clean play and sportsmanship. Senior night didn’t serve up a win but Clay girls soccer is slowly moving in the right direction. Way to fight girls! 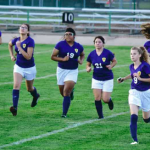 The Girls Soccer team fought hard but fell to Elkhart Central 7-0 on Tuesday in NIC Action. Kayla Sanchez did have 27 saves in goal for the Colonials. The Ladies drop to 0-8 on the year and will host Mishawaka Wednesday.